HARIG 6 X 12 SURFACE GRINDER, MANUAL. GARDNER 1015, 10’’ X 15’’ SURFACE GRINDER. 7) HARIG GRIND ALL NO. 1, SINE PLATES, MAG CHUCKS AND SUPPORT. 4) DECKEL TOOL LIP GRINDERS, MODEL SO, D-812, AND SOE. 2) BRIDGEPORT VERT MILLS, 2HP, VAR SPEED, CHROME WAYS, DRO, P.F. MORI SEIKI MS-1250 ENGINE LATHE, 5C COLLET, 3 JAW CHUCK. SUPERMAX YCI MODEL HRD-1000H, 9 X 36 RADIAL DRILL PRESS. 2) DECKEL 3 DIMENSIONAL PANTOGRAPHS, MODEL GK21 AND KF1, S/N 10391, 3159. SUNNEN MBB-1660 HONING MACHINE WTH MANDRELS, S/N 91481. NUGIER H40-7, 40 TON H FRAME PRESS. STARRETT & MITUTOYO HEIGHT MASTERS. VARIOUS GRANITE SURFACE PLATES, ALL SIZES. OFFICE FUNITURE, BLUE PRINT CABINETS, PRINTERS AND ETC. 23.6’’ X 19.7’’ X 15.7’’ (XYZ) W/ 3R TOOL HOLDERS, S/N 97115K. CONTROL, 3R TOOL HOLDERS, 9.8’’ X 11.8’’ X 9.8’’ (XYZ), S/N 56E08233. HANSVEDT MODEL 201 DIE SINKER EDM, S/N AP16953. 1996 FADAL VMC 15 CNC VMC, CT-40, 20 ATC, 20’’ X 16’’ X 20’’ (XYZ), S/N 9606808. 1997 FADAL 3016 CNC VMC, CT-40, 20 ATC, 30’’ X 16’’ X 20’’ (XYZ), S/N 9702363. TURRET, TAIL STOCK, CHIP CONVEYOR, S/N P8HC-0331. 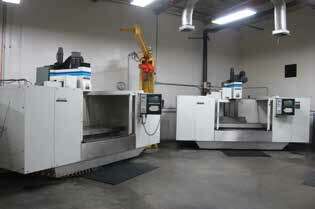 1998 HURCO BMC-4020 CNC VMC, 24 ATC, CT-40, S/N 6275. 2) HURCO BMC-20 CNC VMC, ULTIMAX CONTROL, 16 ATC, CT 40. ELB BD10-SPS, 24’’X 40’’ HYD SURFACE GRINDER, W/ PLC CONTROL. OKAMATO ACC1224-ST, 12’’ X 24’’ HYD SURFACE GRINDER, S/N 83205.